The first celebration of Saint Patrick's Day in New York City was held at the Crown and Thistle Tavern in 1756. Once a party starts, it is hard to stop it from spilling out onto the strees, so a few years later, in 1762 Irish soldiers in the British Army held a parade. It has been held annualy since. 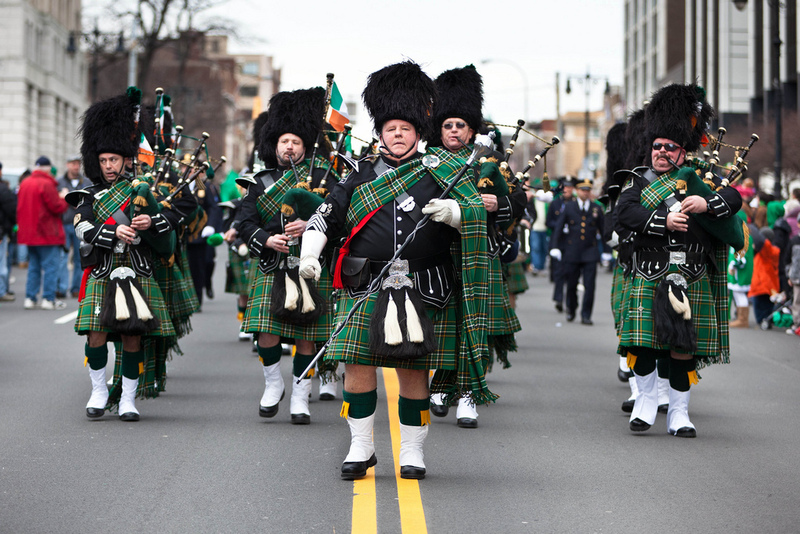 The NYC St Patrick's Day now draws more than one million spectators each year. For a complete history of the parade, click here. Note: In years where 17 March is a Sunday, the New York parade is moved to the previous Saturday (16 March) .